Enable customers to pay with their phones at your store locations. Leverage LevelUp's already-built POS integrations for free to enable a seamlessly integrated payment workflow. Reward your users when they achieve goals in your app by sending them LevelUp Credit for specific merchants. "Great Concept, Vendors Need More Education "
I really like the idea of have an easy way to pay with my mobile phone, while also earning rewards and receiving perks for being loyal to different vendors and retailers. Even though the concept is great, for the brief time I used this app, I did not feel like it was widely accepted by the vendors. For example, I would show up with the app and the cashier would get flustered and have no idea how to use the app for my order or apply any discounts I was promised. It's important that all staff members are trained when any new technology is integrated and I do not feel like LevelUp provided an easy training system for retailers. LevelUp definitely encourages customer loyalty because it can offer rewards and perks for being a repeat customers. It provides an easy way to pay through mobile, but the store employees need to understand how to properly use it in order for it to be effective. "Overall, we have success with using this software at my workplace." The best part about using the LevelUp system for our business is that it offers an easy way for our customers to pay without having to use cash or a card. It also allows them to easily and discreetly leave a tip for the employees behind the counter. As for employees, it makes keeping track of LevelUp sales and tips simple. As with any technology, there are glitches. At times it may stop working for seemingly no reason. Also, if the internet is down or slow, LevelUp may not work at all. This is inconvenient and results in lost business when a customer comes in and only has their phone to use as payment (LevelUp App). The reader/camera on the front sometimes has trouble picking up the QVC code on the smartphone. Train employees well on usage and basic troubleshooting issues. Our customer loyalty program and payments are not left up to chance. An employee can not just chose to give someone extra "punches" on a card or not charge them for a product. It also saves customers the hassle of carrying cash. It saves us and the customer both credit card transaction fees. What Gamification solution do you use? "User Friendly and Updated Software "
"Easy way to make payments"
I love that I can just pay for services with my phone. There are often incentives for using LevelUp that involve cash back through the vendor which is great. I also like that it tracks my spending each month in total and at each vender. Great product. I wish more places used this program and that there was one app instead of one for each vender. It would be great to streamline with one app for all the venders. Great product and incentives users via cash back programs. Great way to pay for things without having to take my wallet with me. Clean website design. Easy to sign up, start and navigate. It's a less known option and in this kind of business, established and good reputation is important. Few people would dare to try the less popular things. I am not aware of any business nearby that are using it, which is why I am unlikely to use it at this point. Some competitors have demo videos on the website to get users started. There is no clear differentiation for LevelUp to stand out from the herd. It's also not clear how strong its network and its security are. Easy transaction for both business owners and customers. Easy money management for business owners. "The Next Level of Mobile Payment and Rewards!" LevelUP has the most modern and intuitive UI in the market for mobile payment and rewards available. Their ease of use is like nothing else in the market. The only dislike that I could possibly have with LevelUP is that they are not as widely known as some of the other mobile pay providers. This can sometimes create a certain level of unfamiliarity with the customer and therefore some hesitation during the purchase process. We highly recommend that you take full advantage of LevelUP's open development platform. It will allow you to give your customers a seamless experience between your Brick and Mortar store, your website and your mobile application. Our customers are on the move and therefore we needed a way to be on the move with them. LevelUP has allowed us to step into the current times by offering our customers a convenient and easy way to purchase our goods and services as well as reward them for their continued loyalty. "I wish all restaurants accepted LevelUp." I like that I don't have to carry around my wallet and just use my phone. It's nice that there is no barrier to payment as my old phone seems to have problems with NFC sometimes. I don't like that there is no 2 factor authentication. This needs to be implemented asap since it has my credit card attached to it! I also wish that more places accepted LevelUp. I would like it if they gave more rewards for places that I frequent. I am hoping to minimize the need to carry around a wallet. It's hard to fully realize this when not all merchants are on board with mobile payments. "big time user --- "
i am a personal user of level up and have been to at least 25-50 of the chicago locations...i love everything about it, i find new places to go and love the rewards. unfortunately, very frequently the machines don't work or they claim they dont work.....customer service is great however and they will give me credit when these situations occur. be prepared for a few hiccups but its a great platform. personally - im saving money! and im finding about and learning about new places. "Great if you live in Boston"
So easy for POS transactions. Great rewards from partner vendors. I have only ever seen LevelUp in Boston. The great thing is you can find it at a TON of places in Boston, but outside of their geography you're out of luck. I have yet to see LevelUp in the wild elsewhere. On the consumer side - I don't see any reason for people to consider using LevelUp unless they live in Boston. 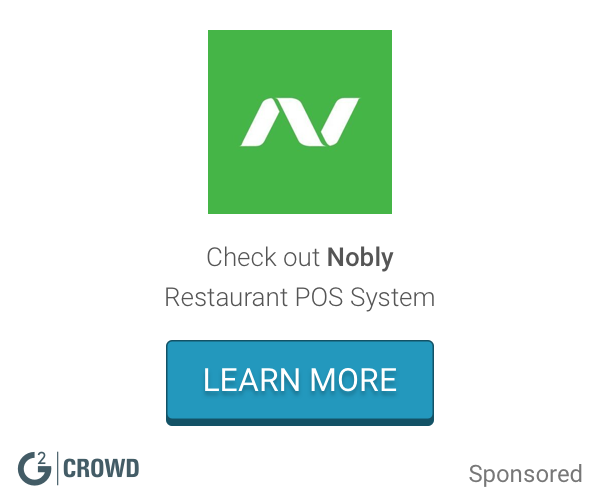 Easy, fast transactions at busy restaurants. Never having to remember to carry loyalty cards. "Well-rounded payment system, requires more vendor implementation"
Allows for digital loyalty cards/rewards for multiple places through a single app. Receive points per transaction which are then used as $ off future purchases. Can use printed version of QR code as well if you don't have your phone. Too few merchants accept it, especially outside major cities. Usually, it's only small business that accept Level Up. Rewarding customers for frequent visits. Increases my desire to return the place since I am receiving loyalty rewards for future purchases. The ease of payment via mobile allows me to build loyalty at various locations. You have a database of customers you can communicate with. "Best platform for most restaurants. " Comes with all the most important features right out of the box. Payment, GPS, Notifications, all in a slick UI. Nothing major. I can see a huge chain wanting more customization, but the built in features suit our needs perfectly. Rather than developing an app from scratch, we worked with LevelUp as a plug and play provider. Initial rollout was not too cumbersome, and now maintenance is straightforward. "An evolving and useful tool"
POS integration. Most start-ups in the location-based loyalty space don't have POS integration due to the prohibitive cost and complicated logistics of a roll out. However, LevelUp has a superb interface and system - I look forward to seeing where they go next. This tool has grown significantly in Boston/New England but doesn't have much of a national profile. This makes sense as they are likely working out the bugs in a regional setting rather then a national one. You still have access to the mobile app - but it's not as complete without the POS functionality. Great POS & loyalty system for the New England area. Want to build a grassroots loyalty marketing program? Look no further. "Payment + loyalty, all in one package"
My only dislike with LevelUp is the fact that it's not everywhere yet. I wish more vendors in more locations + markets used this. You just have to get over the fact that you're giving your CC # to a third-party vendor, but this is no different than storing your info in an Amazon or Google account. If there's a local vendor you like that uses LevelUp, don't hesitate - download it! As a consumer, I like to be able to pay for my purchases, and "punch" my loyalty card without having to carry around an extra card. LevelUp lets me do this, and it's quite seamless. * We monitor all LevelUp reviews to prevent fraudulent reviews and keep review quality high. We do not post reviews by company employees or direct competitors. Validated reviews require the user to submit a screenshot of the product containing their user ID, in order to verify a user is an actual user of the product. Hi there! Are you looking to implement a solution like LevelUp?